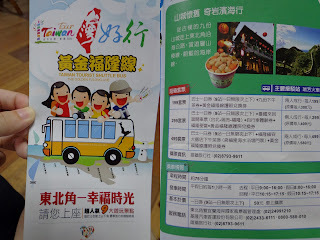 As we got out from the Fulong train station, we accidently found out that there is a nice tour package which worths NTD50, which we can hop on and off the tourist bus any time anywhere as we like along the path given. Nanya Peculiar Stone was our first station of the tour. It was not on the path given but the bus driver was good enough to let us get down there and we were truly appreciating his kindness. I would like to recommend Bitou Geological Trail as one of the amazing trail in Taiwan. Please do not underestimate it as a piece of cake because it only has 0.8km. We got very exhausted due to the hot sun but yet we were having lots of fun! Nice view of Bitou Geological Trail. It looks like a moon surface but it is very nice! This was the last photo I took in Bitou Geological Trail. I had no more energy for photo shooting and I just wanted a place to rest as soon as possible. Though the trekking was a tiring one, I treasured the memory as an unforgettable gift.